Blink and you'll miss it. 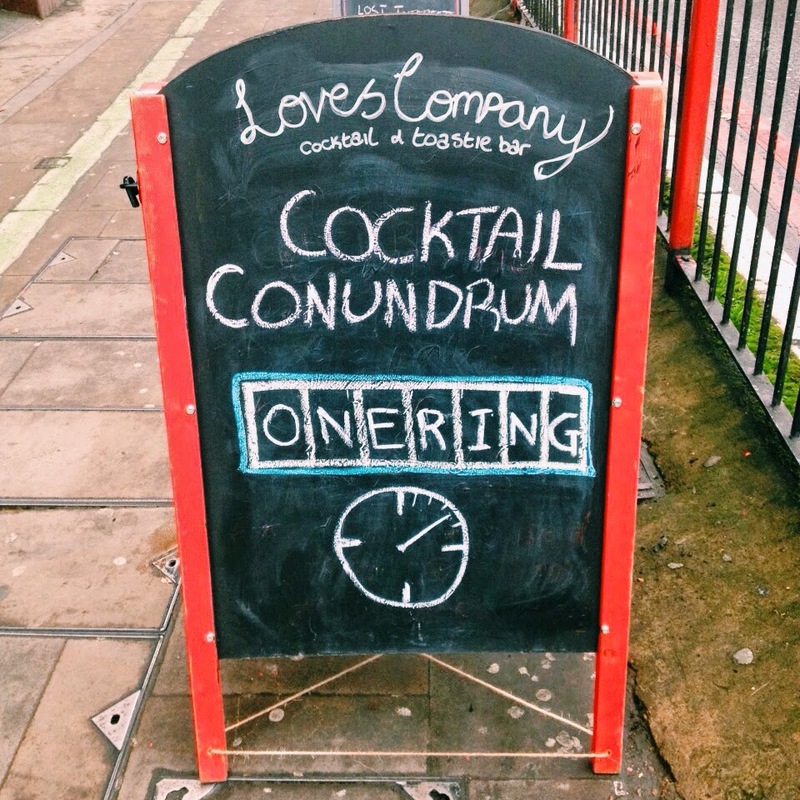 Actually, don't blink, Loves Company is a bar you really can't afford to miss. Nestled on the corner of City Road, just by Old Street Station sits a concoction of cocktail mastery, crazy hats, cheeky chaps and cheesy toasties which make for an evening of fun and giggles and of course, all of the cheese. Casting a crimson glow across the pavement, the neon strip lighting welcomes you inside the not as red light districty as it looks interior. Glance over at the wall to get a taste of the cocktail menu. If there was ever a reason to judge a book by its cover, this is it .. I mean come on now, you'd be an idiot to resist a blossoming kiss with purple passion potion and hold your horses .. Powdered Libido? Established on Wednesday? I think I'll have some of that too please! The dons of the den whisk up their love potions with the care and attention required of any aspiring cupid and the results are spectacular, not to mention having the ability to pull off a bowler hat, (a skill indeed)! 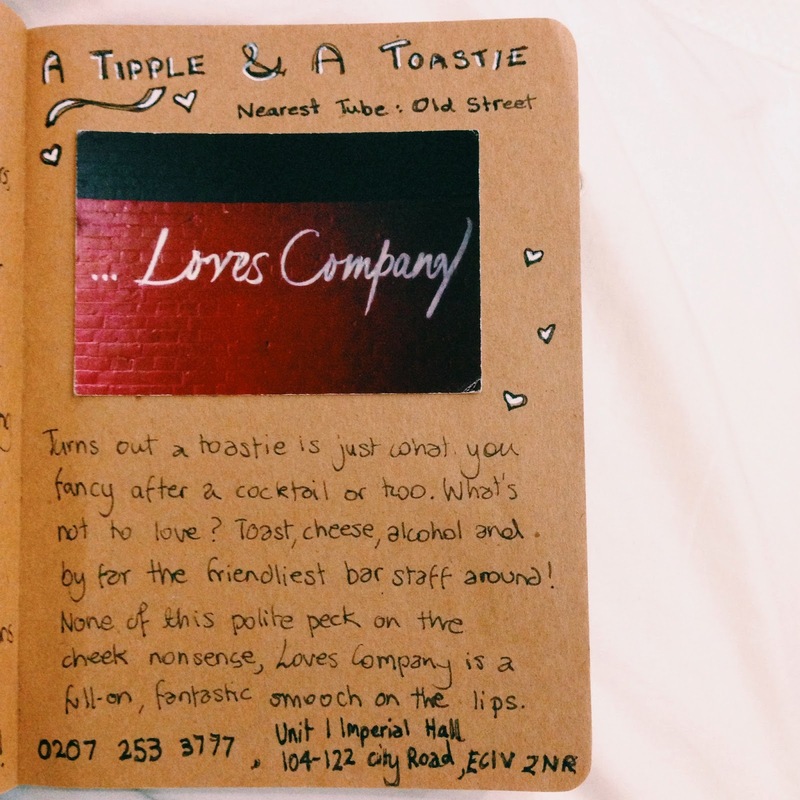 The parallel reason why you absolutely must take a trip to Loves Company, is their ingenious decision to serve cheese toasties. Yes, you heard me .. CHEESE TOASTIES! Be it Cheesus of Nazareth or Bare Grillz, get involved with the nostalgia and comfort of tucking into melted, stringy, drippy grilled cheese. If you can't handle a pun or two then it might be the time to take a good, hard look in the mirror. Puns are great and they are in abundance here at Loves Company. Bow ties are also brilliant. Fact. Also golden toilet roll holders. Well, anything gold is good, but unexpected gold is the best. And tea cups. God forbid a bar in East London not investing in some classic china tea ware! Oo I do love random oddities. Now, to more serious business .. 10 points to Griffindor for spotting the monster! A hot buttered rum and apple creation was of the melt in the mouth and don't ever end variety. Sadly, and as is the way with so many of my favourite drinks, I behave quite atrociously and finish them. Honestly, how could I be so careless?! 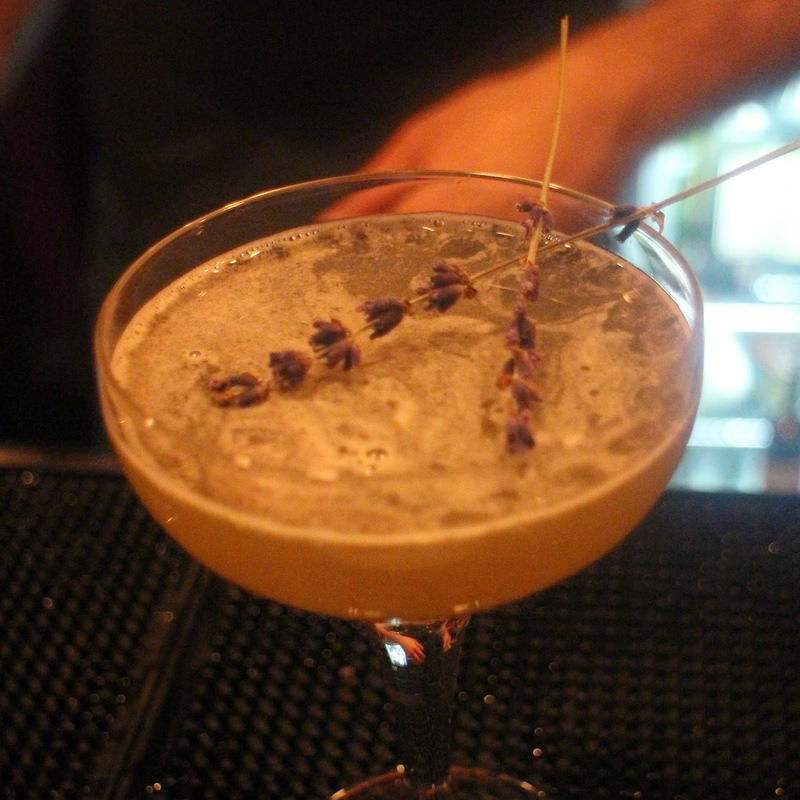 A lavender-garnished gin based number made its way over and sat as pretty as a picture awaiting its fate. 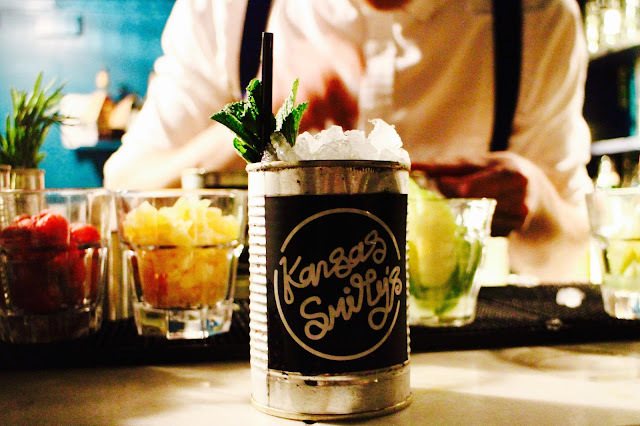 It wasn't long before a tropical fruity extravaganza joined us, all beach shack rum punchy with a citrus twist. And then suddenly we had been in (at) the bar for four hours. While I'm still baffled as to where that time vanished to at such speed, I shall add it to one of life's many unsolvable conundrums ... speaking of which ... any guesses? The conversational, sartorial and dreadlockary excellence of the chaps at this establishment is reason to head straight to the bar and pull up a chair. Secrets were divulged, tales told and toastie filled and totally tipsy, we said our goodbyes and skipped homewards. I have a feeling it won't be long before we return! Ooh, this place sounds fantastic and right up my street (who doesn't love a cheese toastie?). Now on my list of places to try. Thanks!